UAE-based Zulekha Hospital has reported a record increase in the number of female patients registered for screenings and Pap tests during cervical cancer awareness campaign. About 1.82 million UAE-based women now at risk of developing the disease, a statement said. Inaugurated in May by Humaid Al Qatami, chairman of Dubai Health Authority, the ‘Smear, Don’t Fear’ campaign saw more than 1,400 women taking the advantage of free specialist gynaecologist consultations and undergoing Pap tests and HP vaccines in Zulekha Hospital in Sharjah and Dubai. 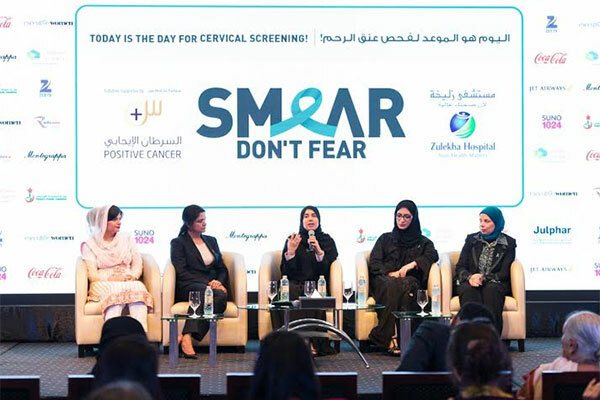 The campaign, which ran until June 30 with support from prominent doctors, local cancer campaigners and leading authorities, highlighted the importance of early detection as cervical cancer is the second-most commonly diagnosed form of cancer among women in the UAE.